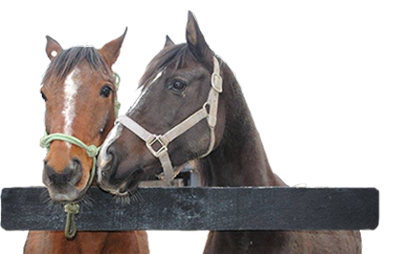 If you can give a horse a temporary home it frees up space at our location – which helps us rescue more horses! Our foster home requirements are similar to our adoption requirements. Please download and read our 13 Hands Foster Agreement to find out more, then complete the form and contact us to proceed. If you can’t foster at this time but would still like to help out our wonderful rescue horses, please consider sponsoring (see below) or volunteering your time. Any way in which you can contribute is greatly appreciated! Sponsoring a horse at 13 Hands means committing to a recurring monthly donation to help cover the cost of care for your favorite horse. 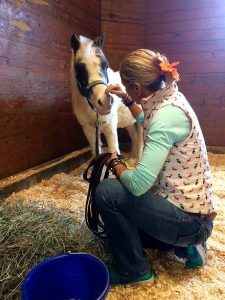 It’s a wonderful way to help us with expenses – which in turn means we can afford to save even more rescue horses! You don’t have to know anything about horses or provide any care beyond your financial contribution, but you will be welcome to visit the farm by appointment to see your sponsored horse. You may also use photos of your sponsored horse in advertising or promotional materials if you would like to. You know that you directly helped a horse saved from slaughter! The best way to donate to us is via check. There are no fees applied and we receive the full amount you intended. However, we do realize that the convenience of PayPal or a credit card is key and we are very grateful for whichever way you choose to donate.